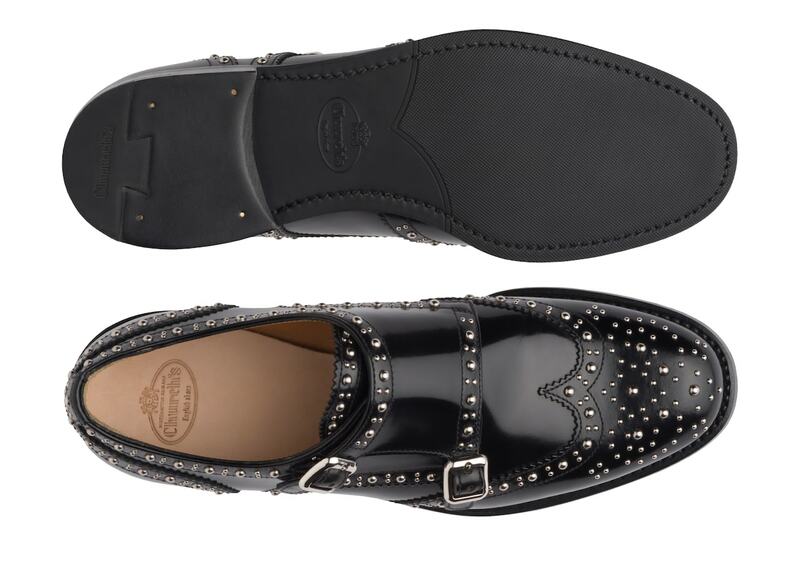 The Lana Met turns tradition on its head, spiking its classic double monk strap construction with punkish studs. 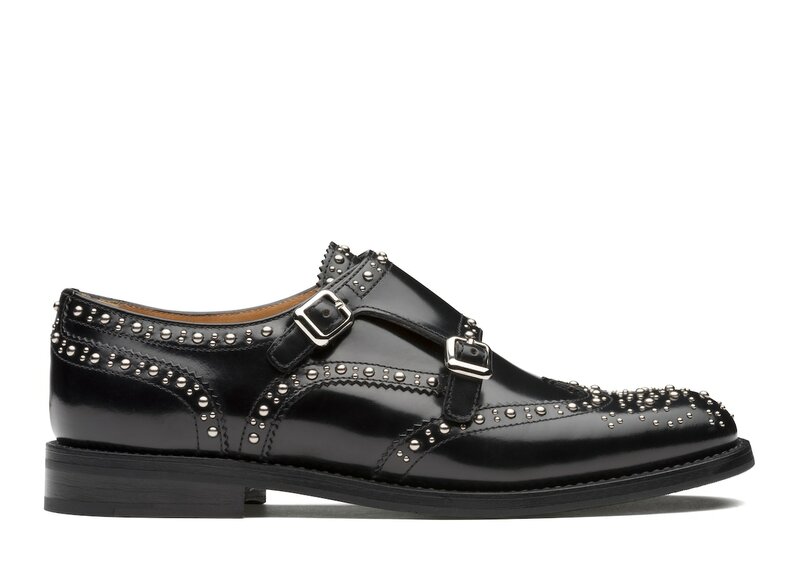 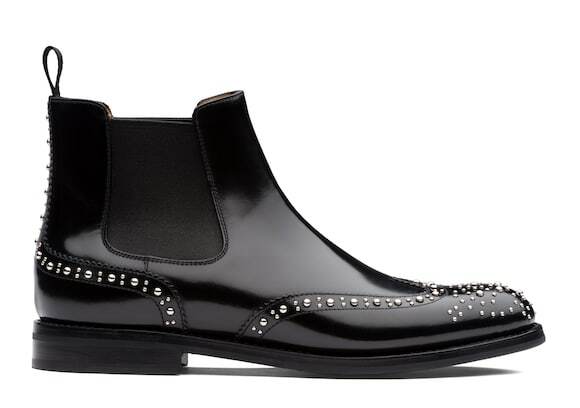 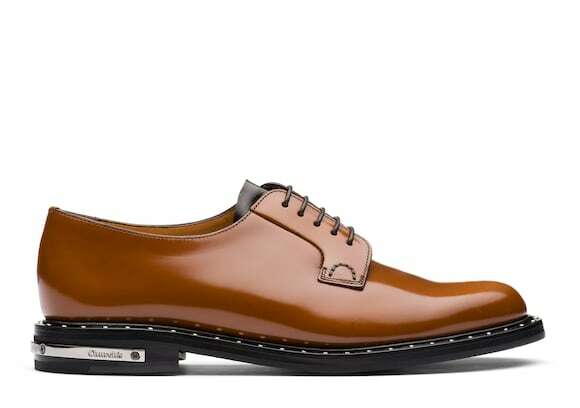 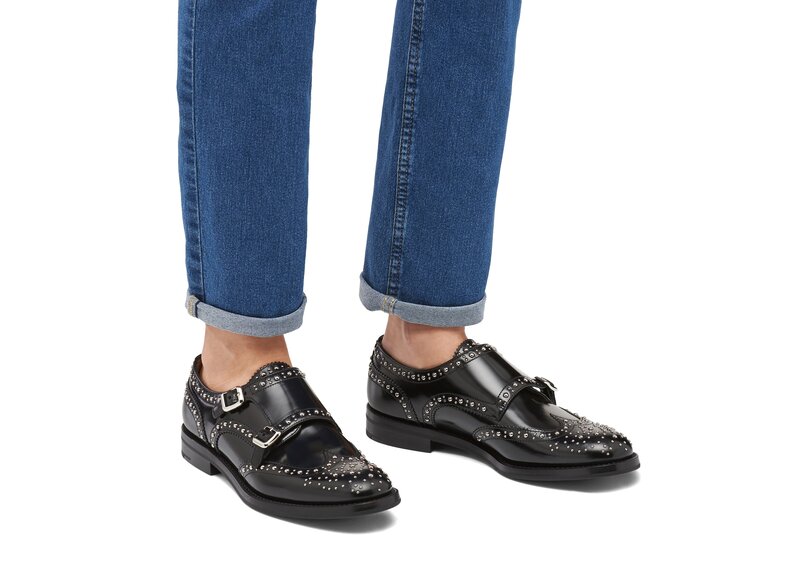 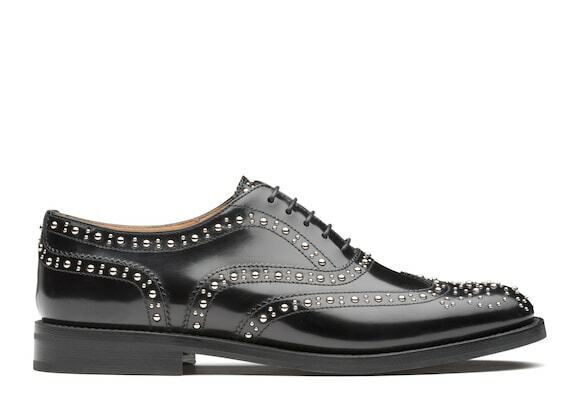 Following the original brogue placements, the shiny metal highlights the subtle gimping details and the wing tip toe. 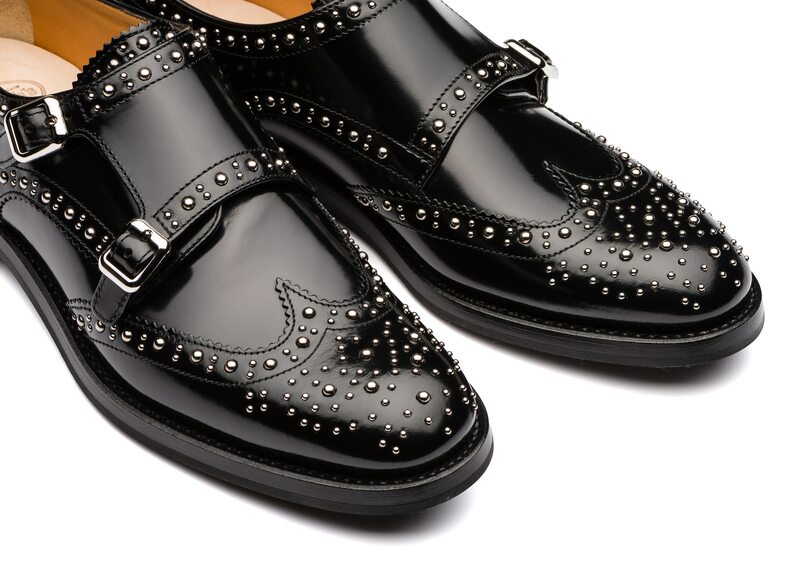 Our polished binder treatment presents an additional layer of shine, buffed by hand to achieve a rich glossy look. 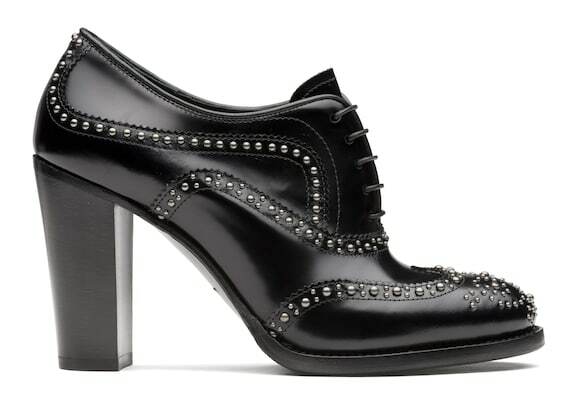 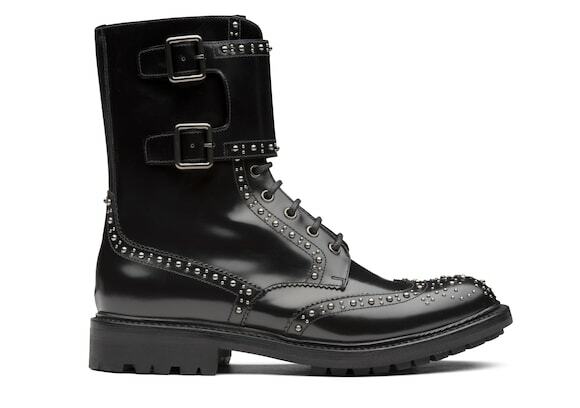 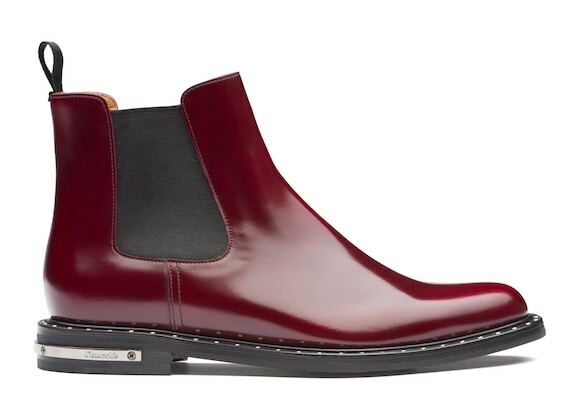 Part refined and part anti-establishment, this shoe will inject a chic look with a courageous edge. 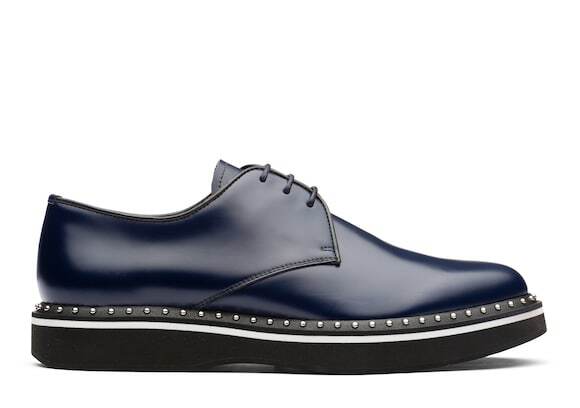 Finished with a diamond rubber sole for added grip.